Regal and imposing, 262.47ft (80m) luxury charter yacht GRAND OCEAN was built by Blohm + Voss as an expedition-style motor yacht, which enjoyed a major overhaul in 2018 and offers a wonderful blend of classic and contemporary features. 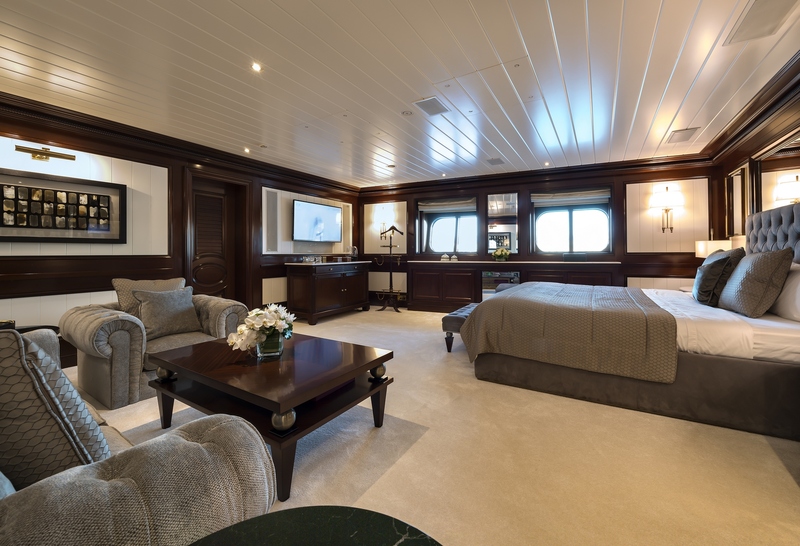 With accommodation and amenities for up to 12 charter guests in exceptional comfort, GRAND OCEAN is available for charter in the Mediterranean. 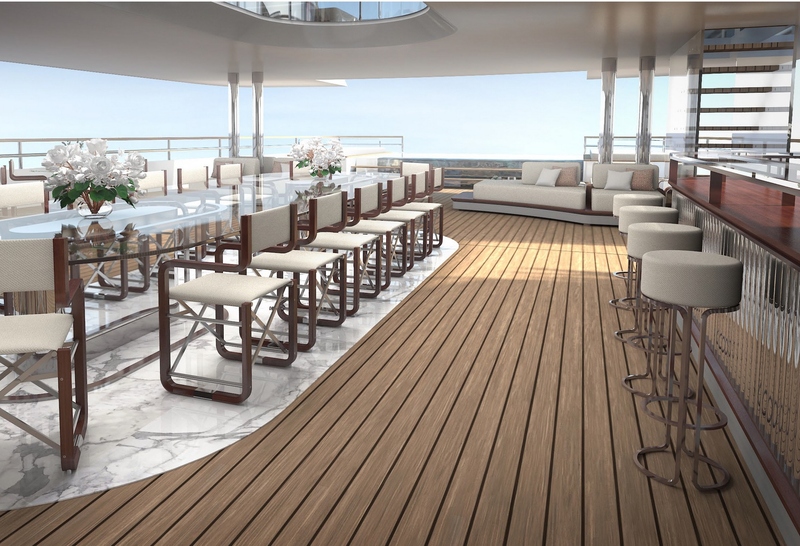 Over three decks, GRAND OCEAN (ex-GOLDEN ODYSSEY II) offers guests an array of choices for dining, socialising and relaxing. 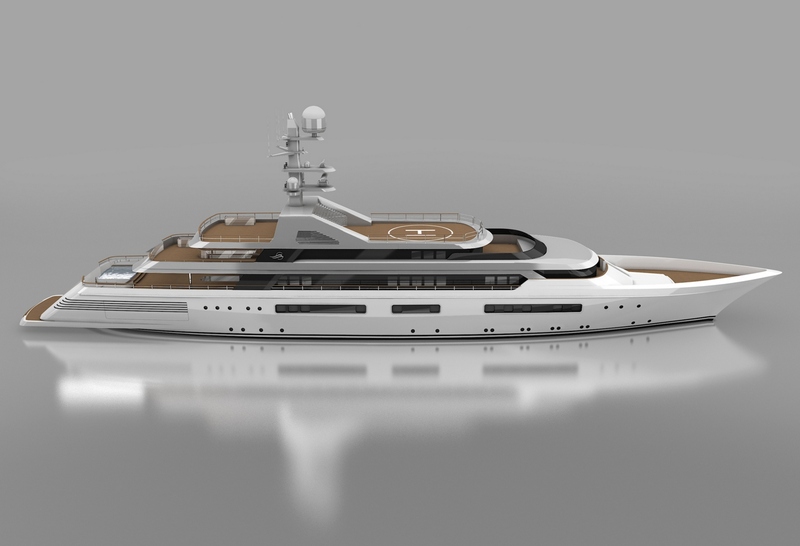 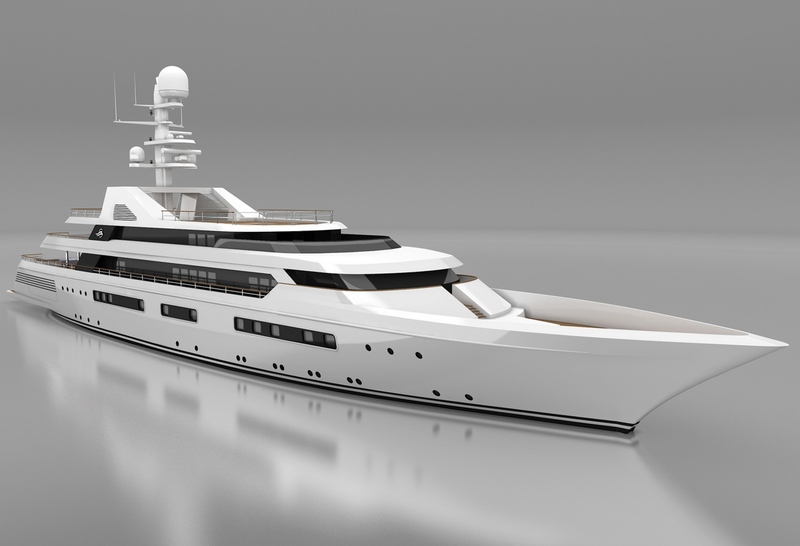 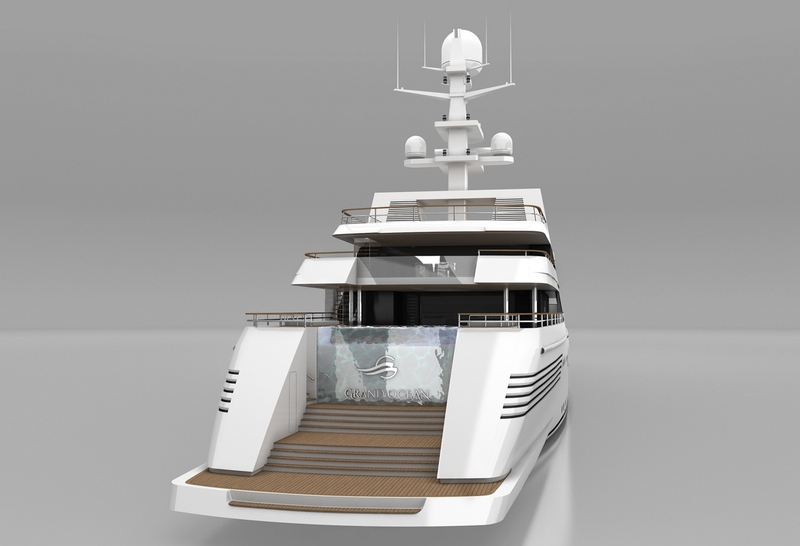 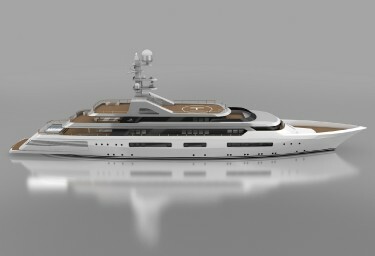 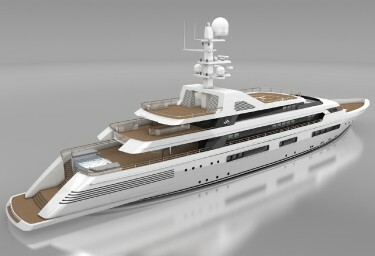 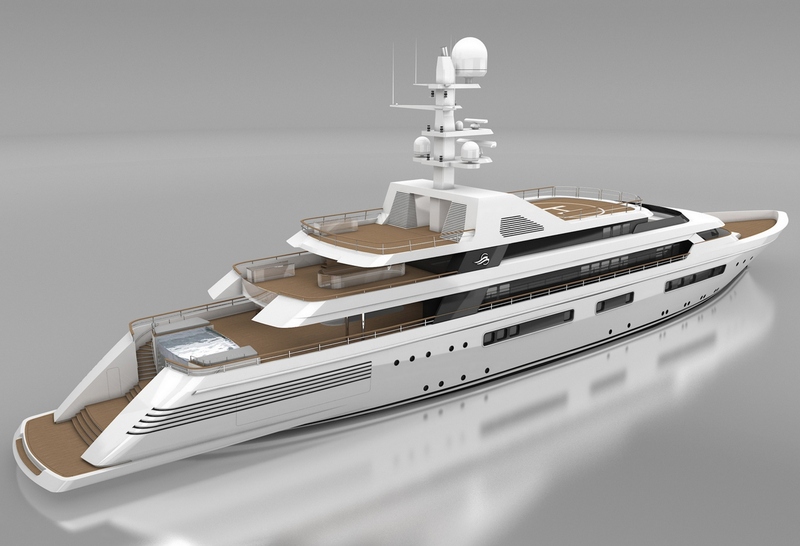 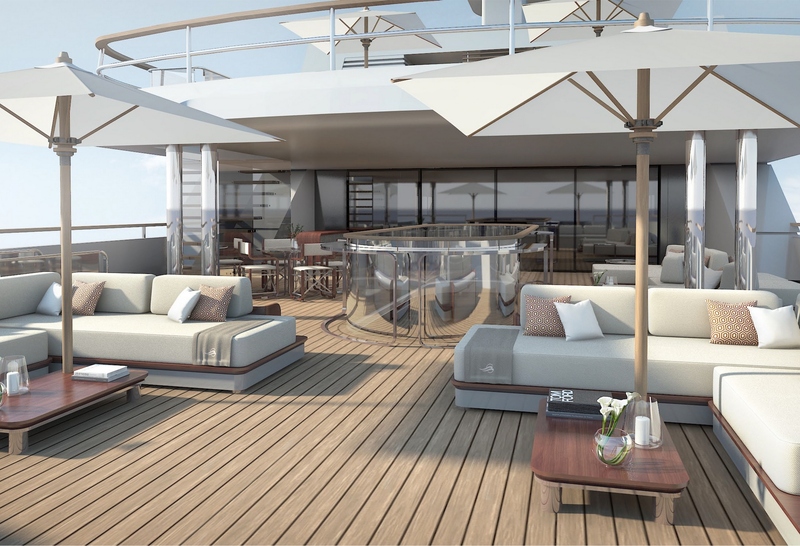 The main aft deck is shaded and provides effortless water access from a large swim platform. 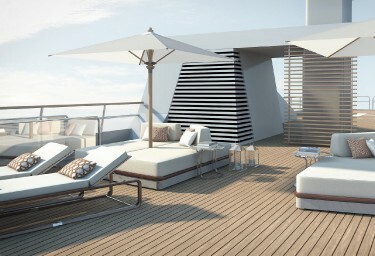 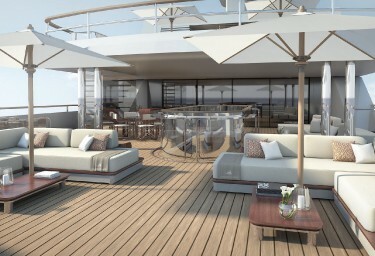 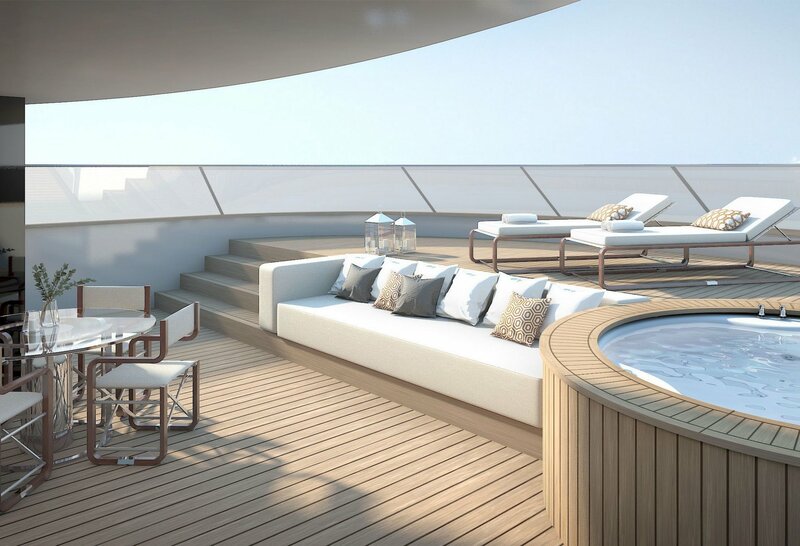 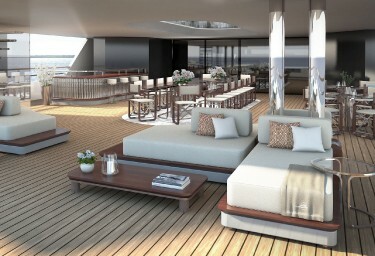 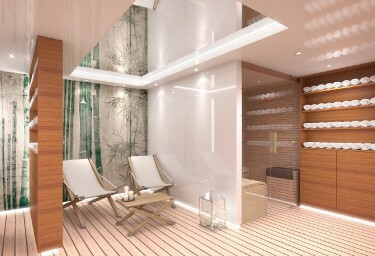 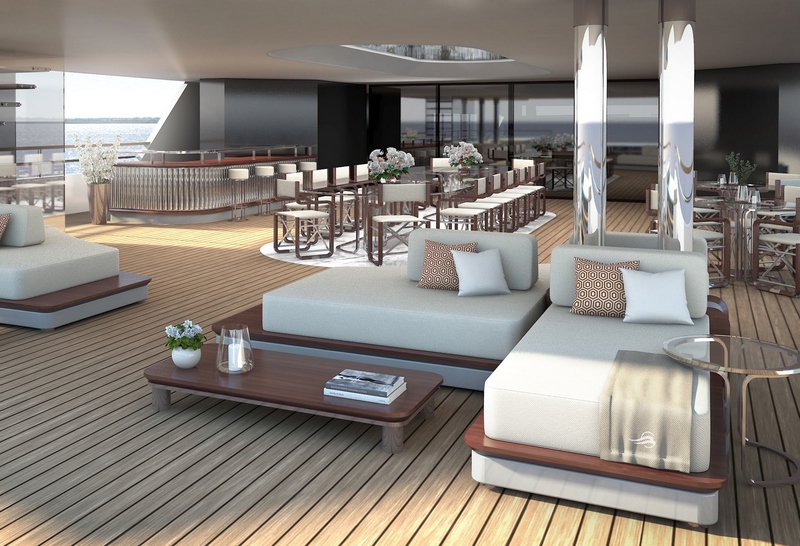 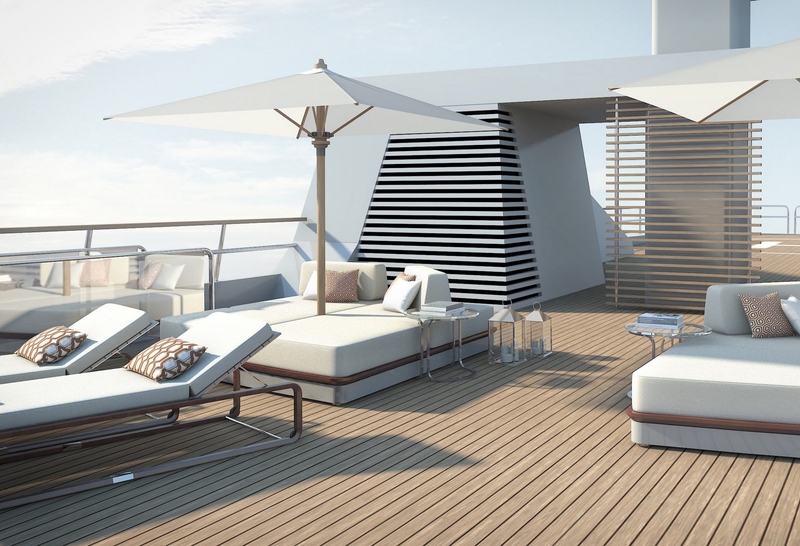 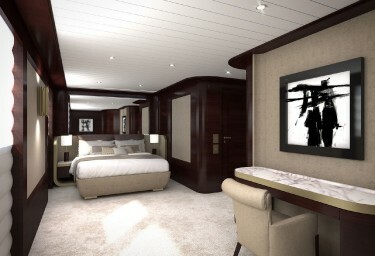 Above, the upper aft deck boasts the extravagant mosaic-tiled swimming pool which will delight guests of all ages. 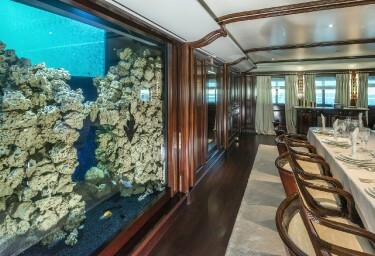 Complete with counter current for fitness, the pool can convert into a dance floor, if required, and its marvellous glass-bottom links to a live aquarium in the saloon situated below. 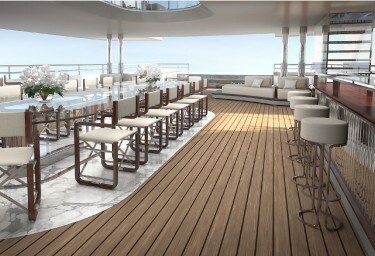 There is also a bar, dining table for meals alfresco and sunpads for reclining and simply taking in the view. 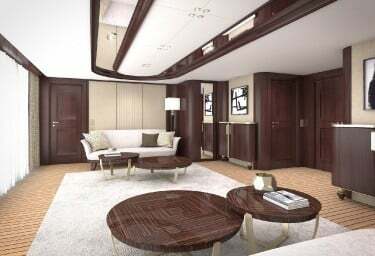 Though sliding glass doors, guests can access the upper lounge which is a great area for entertaining, with games tables, plush seating, dining table and high-tech entertainment system. 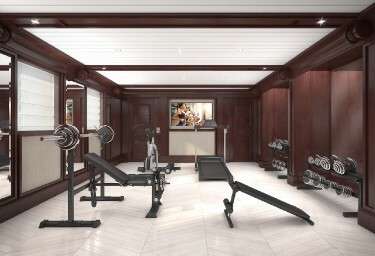 On the top level there’s a fully equipped gym, sauna, hair salon and stunning views from full height windows. 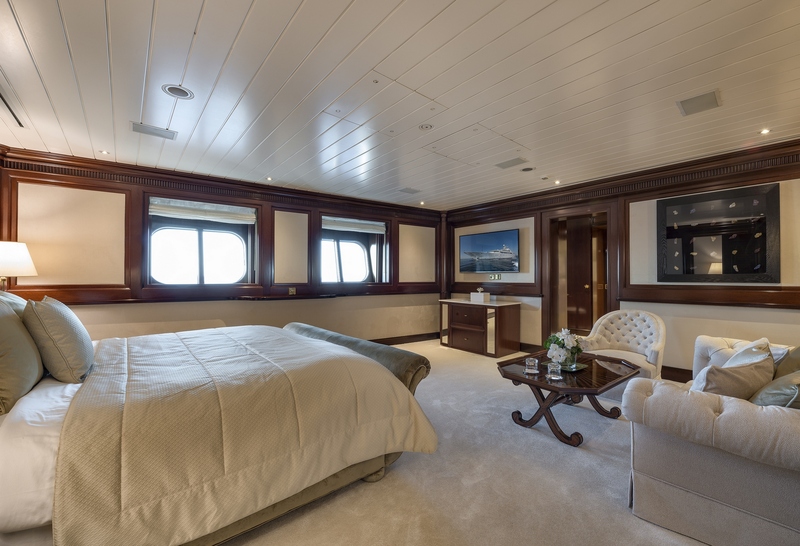 A foyer leads to a forward-facing lounge and games area, with access out onto a full beam upper foredeck, sun pads and jacuzzi. 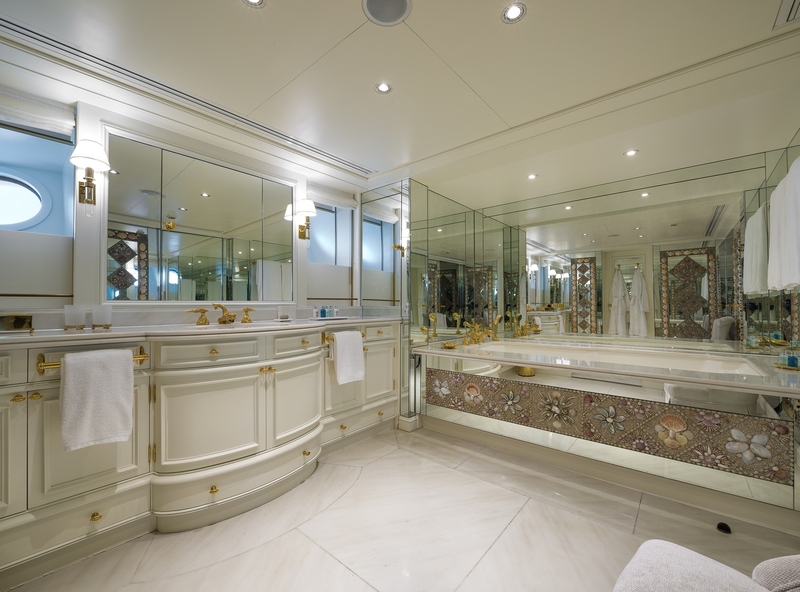 GRAND OCEAN is known for her opulence following an extensive upgrade in 2018 with interiors by Alberto Pinto. 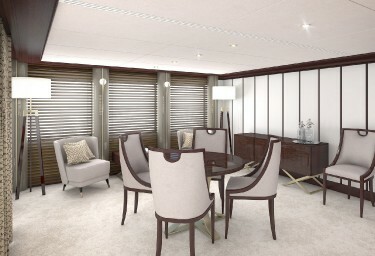 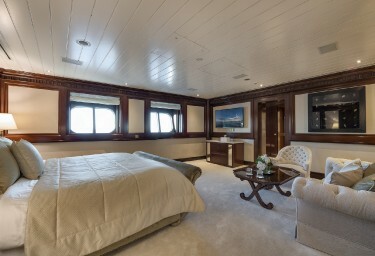 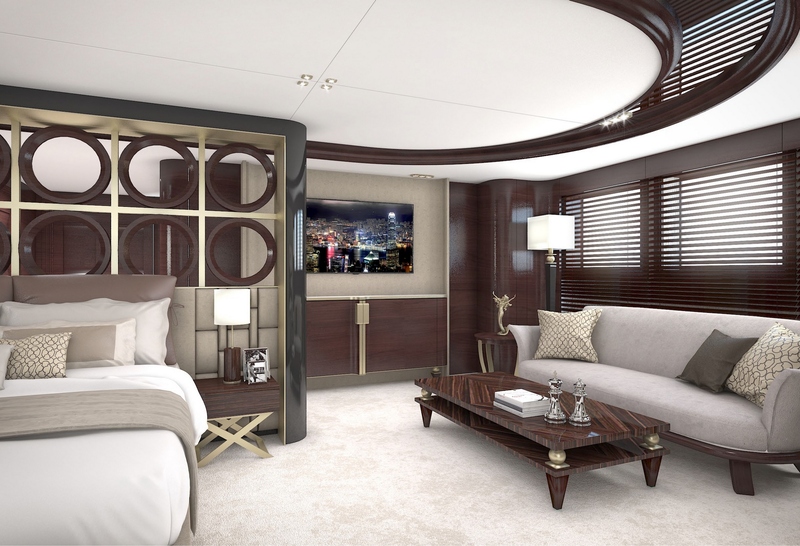 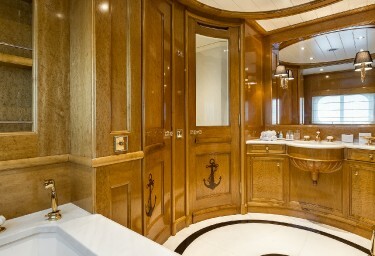 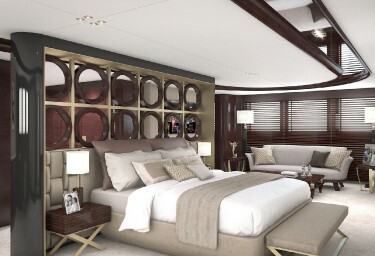 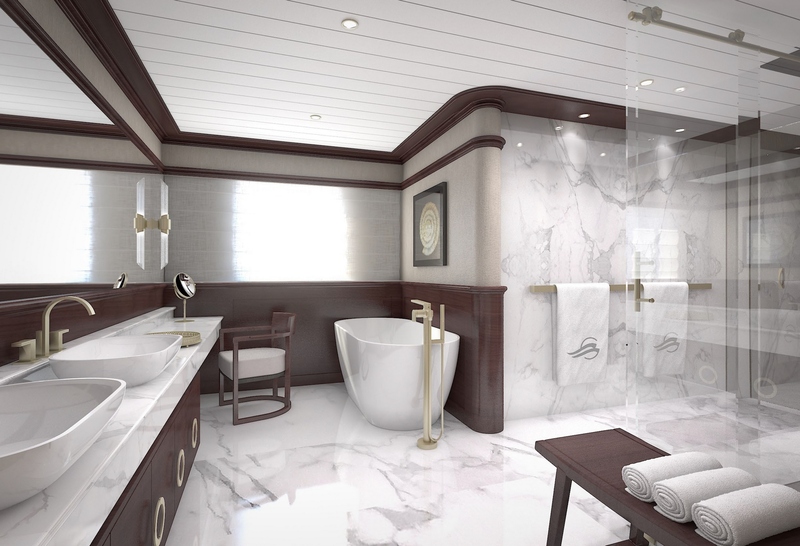 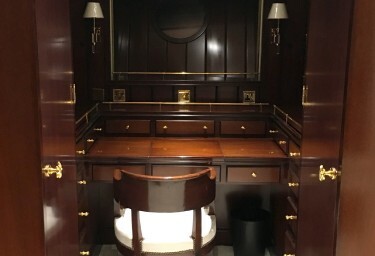 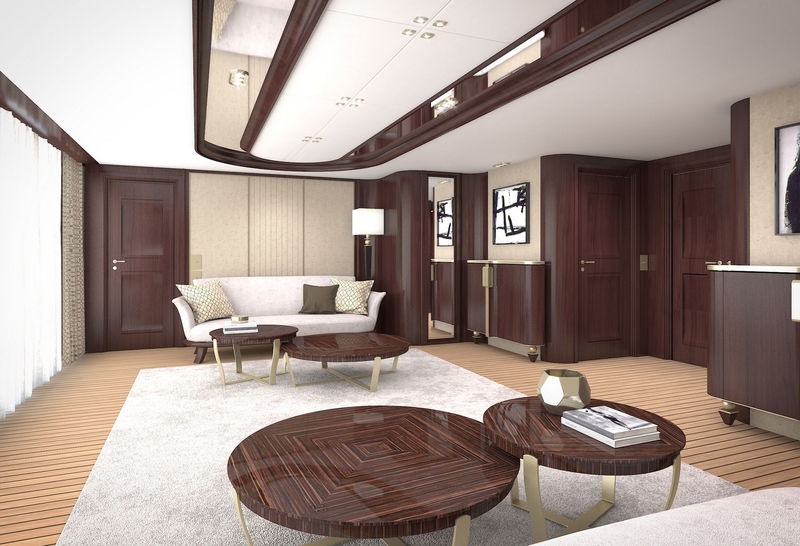 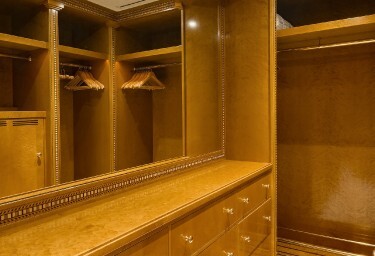 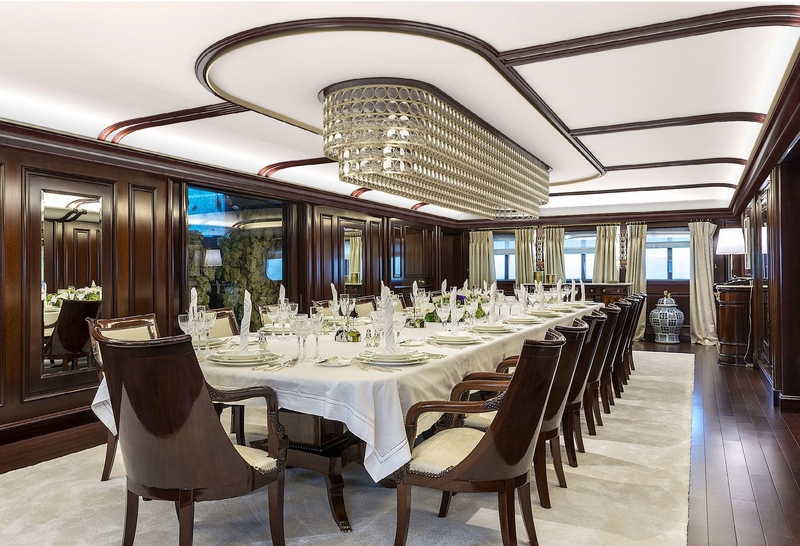 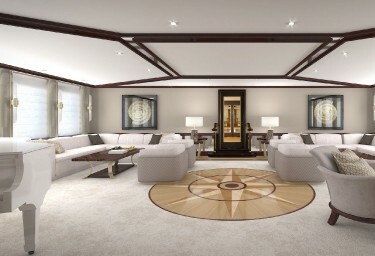 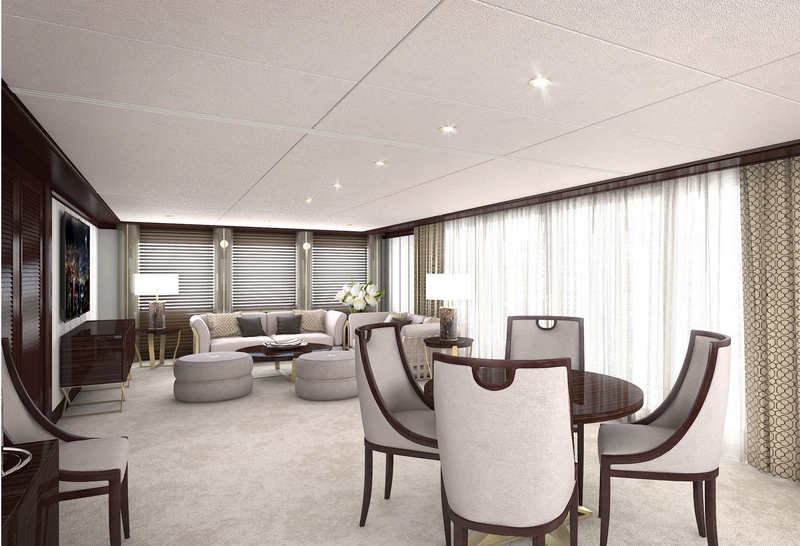 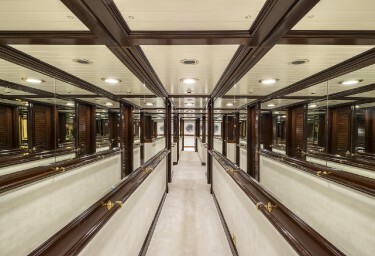 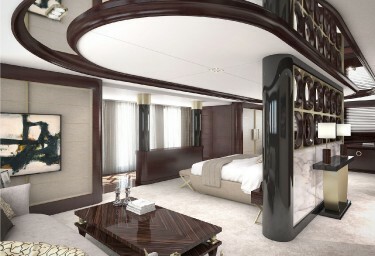 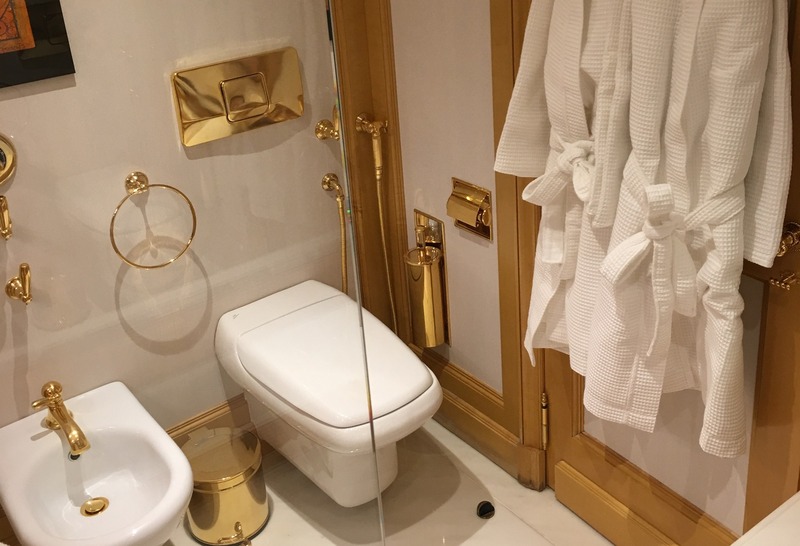 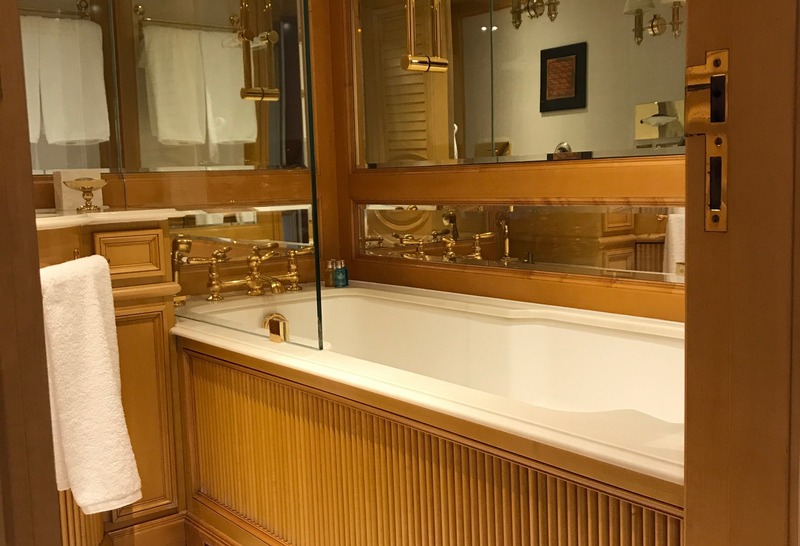 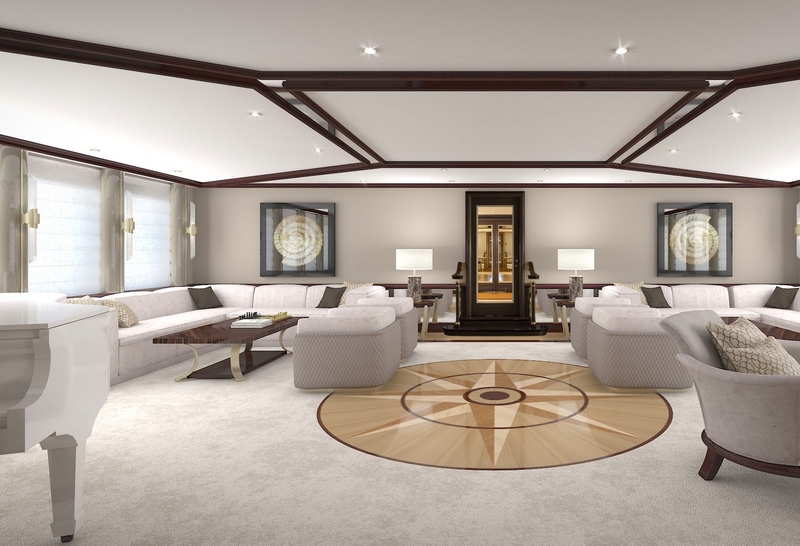 The style has been custom-designed to suit GRAND OCEAN’S pedigree as an explorer vessel, and is nautical in theme, with traditional and timeless elements such as Italianate columns, dark mahogany wood, silk carpet, bespoke furniture and marble bathrooms. The main deck features the formal dining room with seating for up to 12 guests, with all the ambience and architectural cues of a grand ballroom, plus exquisite modern touches like LED lighting and her entrancing aquarium in full view. 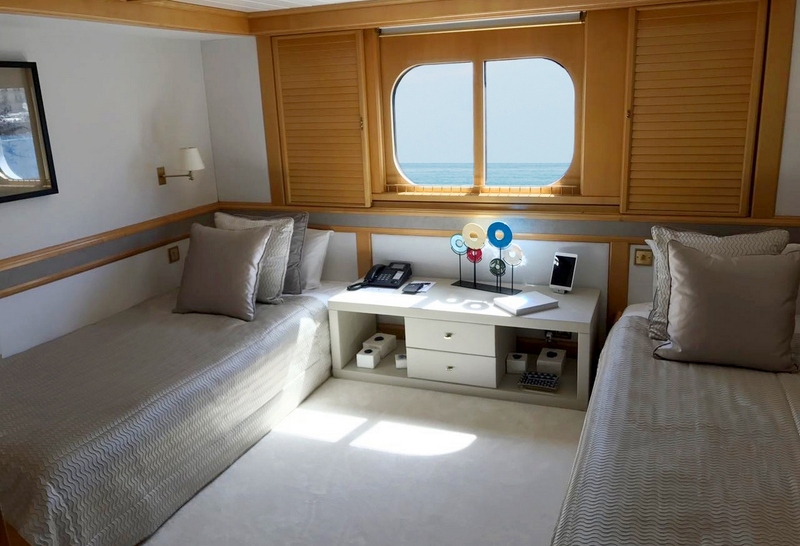 In guest cabins there are the latest AV systems and wi-fi, while the saloon has Satellite TV, Kaleidescape movie server system and multi-room audio system with access to music library. 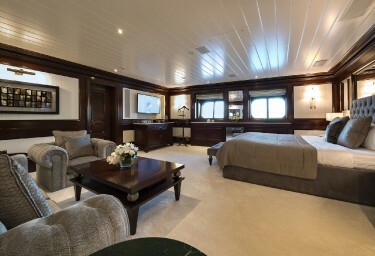 Each room has its own character, united by hand-hewn timber panelling, exquisite quality and deftly placed art. 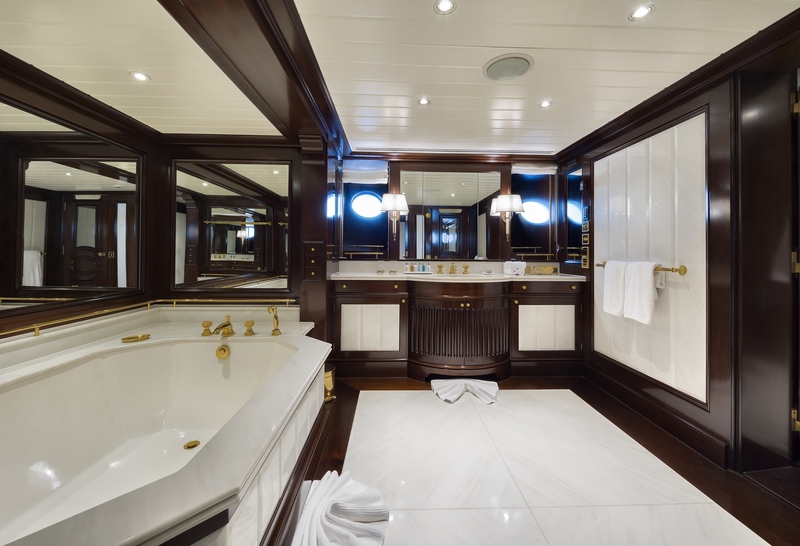 Accommodation onboard GRAND OCEAN comprises two master staterooms, each with dressing room and ensuite with bath tubs, one double cabin with ensuite and four twin cabins with ensuites. 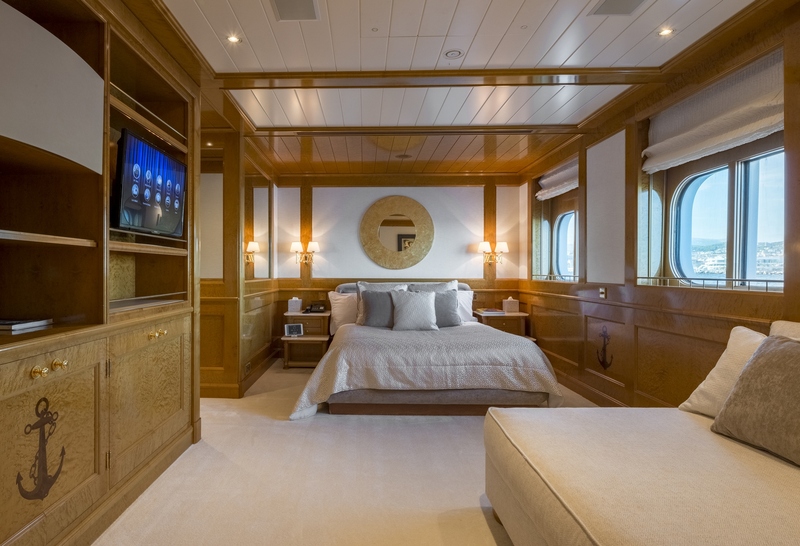 In keeping with this splendid charter yacht, the décor in the guest cabins is sumptuous and spacious, combining grandeur with convivial elements to create a welcoming and warm environment. 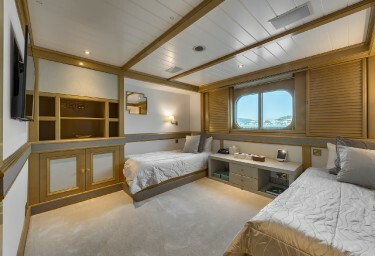 GRAND OCEAN is an approved RYA water sports centre with an amazing array of watertoys onboard. 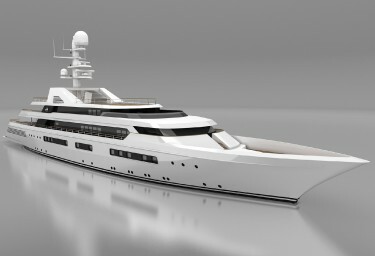 Your charter will include onshore exploration with GRAND OCEAN’S 8.3m Scorpion RIB, two 5.5m Nautica RIBS and one Scanner-Suzuki tender for towing. The family will enjoy hours of on-water fun with a variety of watertoys including a Sea Doo Spark, Sea Doo GTX Limited 60, Jet surf, Jet pack X-Armor, Fly board, towable tubes, two glass-bottom kayaks, skis, wakeboards, 2 SUPS, one 3-seater Hot Seat, one 4-seater Air Stream, a 3-seater banana, diving and snorkeling equipment, and fishing gear. 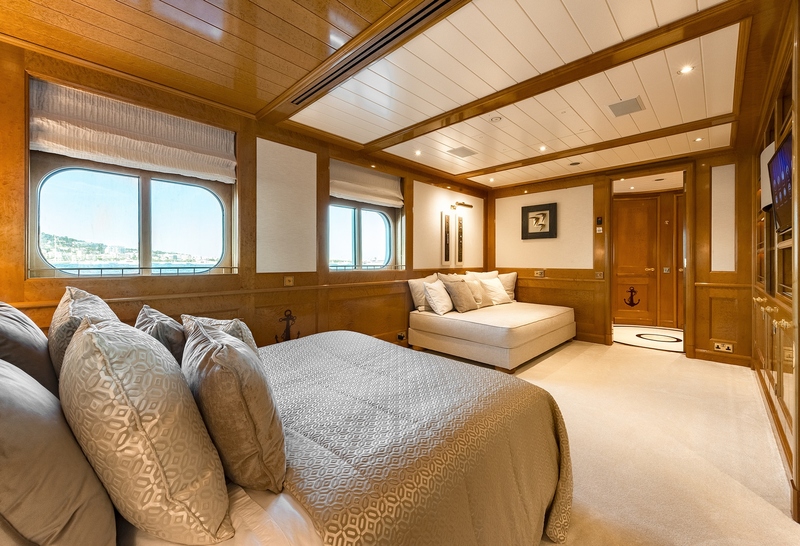 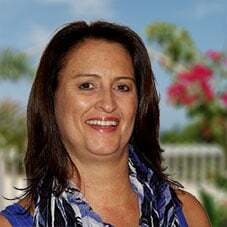 She has an experienced Captain at the helm who is supported by a crew of 28 charter professionals who are enthusiastic and knowledgeable, just waiting to make your GRAND OCEAN charter a success.